Twitter is an online social networking service and microblogging service allows users to send and read text-based messages of up to 140 characters known as "tweet". 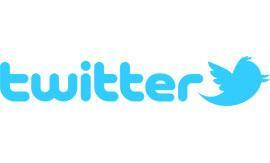 Twitter was created in March 2006 by Jack Dorsey with over 500 million users and 340 million tweets daily. To learn everything you need to know about how to use Twitter go to grovo.com's How to Use Twitter. User Name should be Storm_(First name). For example, I am Storm_Scott. Use your New Design Email Account. Follow at least 20 of your classmates. All Mediastorm classes will end with a tweet. If you have any extra time please watch this video. Is it possible for a song to be boxing? 96 BOXING CLUB from Jérôme de Gerlache on Vimeo.